Pretty quiet on this Sunday evening at work. For one it’s a holiday weekend but it’s also the deadest weather time of the year. I find September and the first half of October to be my slowest time meteorologically. 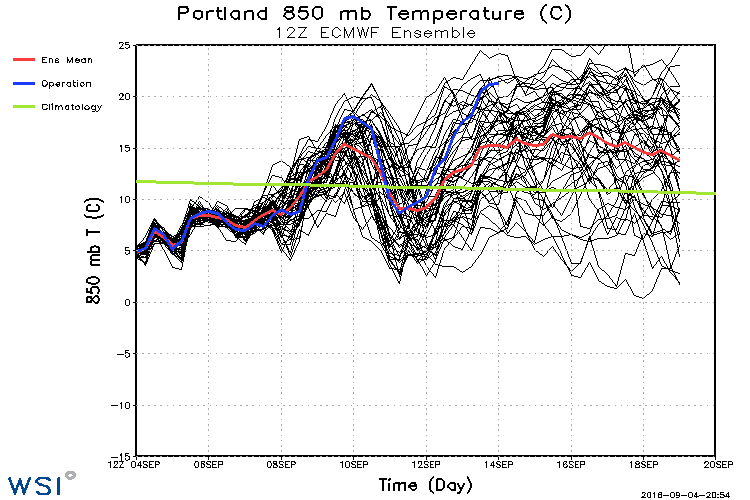 We have passed the summer heat waves, most fire weather concerns, and we don’t get many (or any) extremes. Yet the rainy season doesn’t really kick in until late October (most years) and we don’t get anything other than weak fronts (most years) until around Halloween. 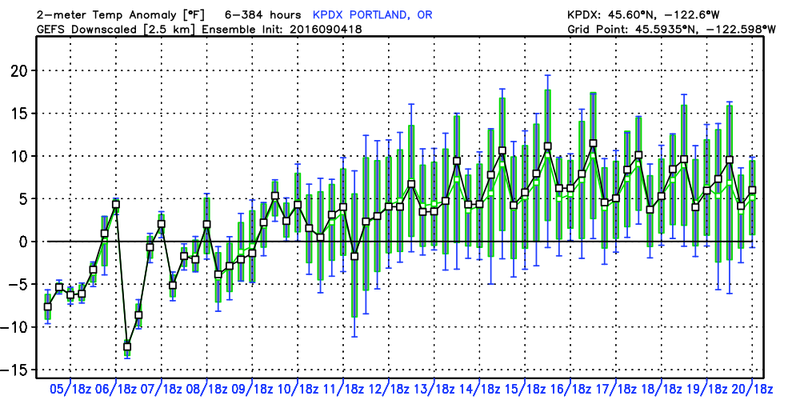 Not much weather action the next 6+ weeks and I find myself bored more often this time of year than any other. Those temperatures next week might be too low, but the point of this product is to give a general idea of conditions beyond the next week. 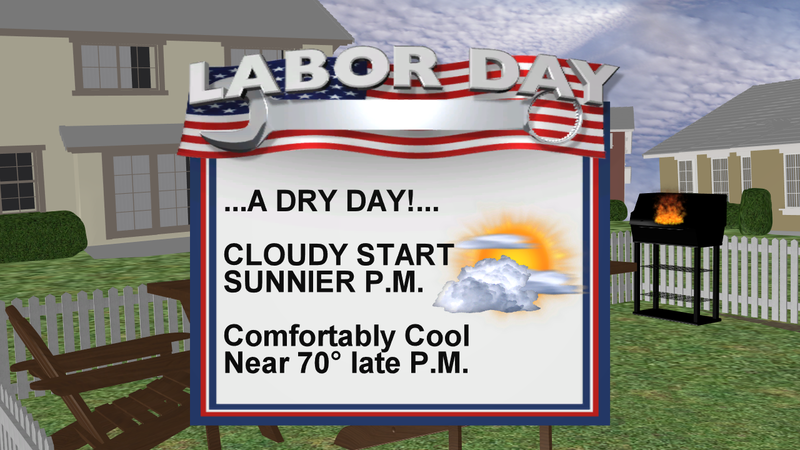 For Labor Day things are looking good, we’ll go from clouds to afternoon sunshine. It’ll average out to Partly Cloudy I suppose. Enjoy the holiday! This entry was posted on Sunday, September 4th, 2016 at 11:13 pm and is filed under Weather. You can follow any responses to this entry through the RSS 2.0 feed. Both comments and pings are currently closed. A Helpful Guide to Portland’s Rainy Season! …and the wild white eyes of FOX 12 Chief Meteorologist Mark Nelsen will spin back in his head as he shrieks in tongues, screaming and convulsing, the Dark Lord of a lawless city ruled by fear. Does that ever actually happen?? 70 with ample sunshine at 1:00 PM. 72 yesterday with .09. Could have used more rain but too far South I guess. 76th consecutive day over 70. 9th straight day of below normal maximums. That will change real soon. Peace. Wet day yesterday! Started raining just after midnight, it was a little weird to hear the rain and crickets together at the same time. Heavier rain by morning, particularly while I was on my way to work. Rained most of the morning in Downtown before tapering off and drying out. Another 0.04″ overnight last night, been raining at various intensities again in Downtown this morning, despite the dry forecast. The door sure did slam shut on Summer in a hurry, didn’t it? I seem to recall saying something to that effect several months ago. Regardless, it’s actually nice to get a little rainfall. It smells good. Fog and drizzle most of the night. .06″ in the gauge as of this morning. As often happens during such situations, the east side of the Salish Sea is dry this morning. Sometimes it’s the other way ’round, and the east side gets the drizzle and I stay dry. What’s unusual, during these thick-marine-layer drizzles, is for both sides to be drizzly. Just why this is the case is something I’ve puzzled over for some time. Looking forward to the sunny trend coming this weekend. So far this month hasn’t been bad, but the change from the warm dry conditions of August was a bit more abrupt than I expected. 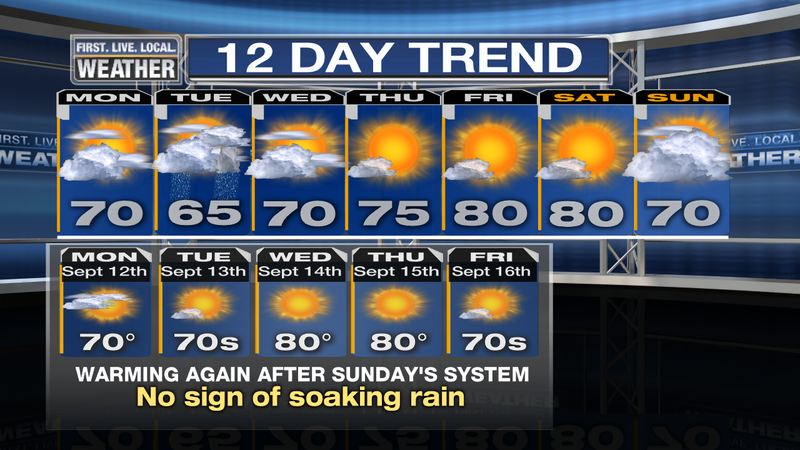 Enjoying one day of Septemberuary before warmer and drier weather arrives Wednesday. Received all of .09 out of this system. Not exactly a cloudburst. Have gotten .93 since July 11th. Peace. Looking like mid-80’s next week. I have three friends from Georgia coming here to visit that week. Any bets on the chance 1, 2 or all 3 of them will want to move here?? None have that notion right now! Wow that’s crazy because I got 0.53in from this system. I have had 1.07in so far this month. Quite the difference. It was a more northerly system for sure. I was in madras today and it was pouring, got home to Redmond and it was barely a sprinkle. Mark was right with his call, wet north, and drier south. We have a news station over here Mark, and you’re still more accurate. After some downpours after I posted that comment the day total has gone up to 0.89 now. Rained overnight, but hardly a major soaker. 0.14″ in the gauge this morning. Feels like a typical post warm front winter morning out there. Mild at 54 degrees, but wet. Three years ago today I measured 1.44″ of rain. A cool cloudy Labour Day here yesterday. (60F maximum). We have been getting showers almost every day for the past week, but not a lot in amounts. I love this rain! I miss it with the got stretches we have had! Mark is this the remanents of Hurricane Lester? I love your blogs very insightful! The rain is so beautiful! We’re under a heavy shower at present in Longview! I miss the rain after stretches of warm! Mark is this front the remanents is Hurricance Lester? Looks like 93 and sunny tomorrow in San Antonio the upper range of Weather Dan Weather. 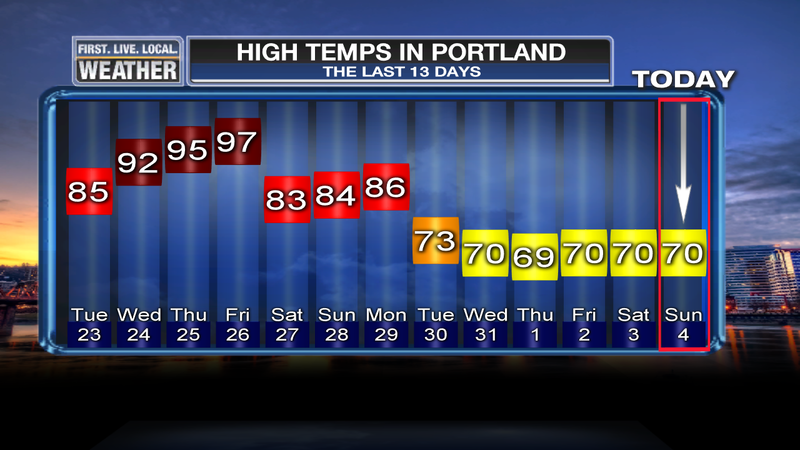 Summer Continues maybe cooling down to 88 by next week. Boring weather this time of year is perfect weather. Love the fall sunshine! Mark. Since I have not seen the subject mentioned in a while that I can remember, does this fall/winter still appear to be heading to a strong or moderate LA Nina? All I can sayou is we are long overdue for a wet/cold winter. They don’t care at this point. This blog has turned into a surf’s up San Diego up north blog and want our weather to be like that for 3/4ths of the year or more. The extreme version of Weather Dan’s ideas and they call him extreme. Those who blatantly accuse have 3 or more fingers pointed back at them and at front of them from the back.